Educational institutions, museums, governments, non-profits, advocacy groups, and other community organizations may license the Echotone educational DVD for public screenings. Echotone’s director and producers are available at this time to attend your screening. If you’re interested in hosting a community screening, please email publicscreens@echotonefilm.com. We want to coordinate with key influencers in film, music, government, economics, and academia to get the word out through small private screenings. If you have a good idea for a private screening that would make a big impact, please email privatescreens@echotonefilm.com. If you handle booking for a film festival please email details to festivalscreens@echotonefilm.com. If you aren’t a screening host, perhaps you know someone who is. 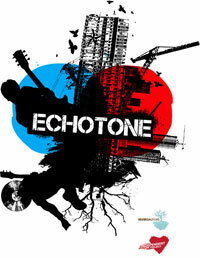 Let us know who needs to see Echotone by emailing screenings@echotonefilm.com. Recently uploaded on Echotone Flickr photostream.